Social networks have completely changed the advertising industry. They offer low-cost and high-ROI advertising opportunities to billions of people. The reason for such a huge marketing disruption is the fact that social media websites enabled small businesses and individuals to compete with big corporate enterprises. Mark Zuckerberg is one of the pioneers of social media marketing. In 2004, when Facebook was just a social platform for Harvard University students, users were able to purchase advertising space for their promotional banners. These banner commercials were called Flyers and they were used by students for announcing parties and gatherings, and by small businesses from the Harvard University campus. Flyers’ prices ranged from $10 to $40. The huge popularity of Facebook ads is driven by their ROI and the modest overall price. Facebook allows marketers to target a very narrow audience because the users generally share a lot of personal, demographic and behavioral information on their profiles. According to AdEspresso research, the cost of Facebook ads depends on many different factors, including targeted audience, ad quality, time of the year, bidding options etc. 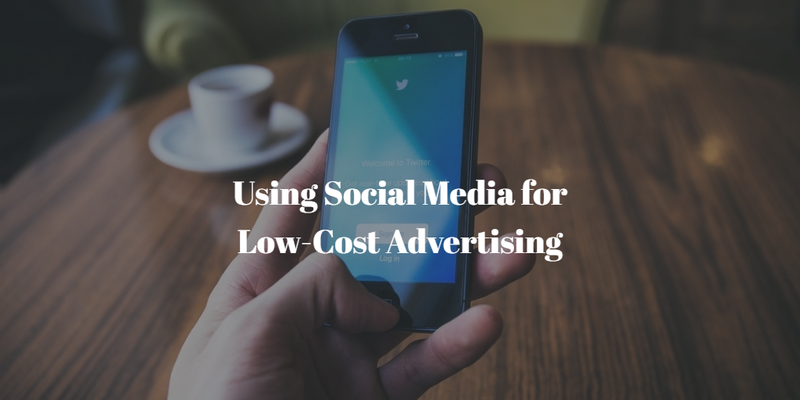 A general rule is that well-tailored ads and campaigns cost less and create more engagement. Many Facebook page administrators simply create an ad, determine the budget and let the platform do the rest. Others who invest more time and effort in audience targeting and ad creation can achieve much better results and decrease the ad’s CPC. Choose the less expensive audience – Ads that are targeting the residents of countries with a low buying power are much less expensive. If you want to increase the number of visitors on your blog or website, it’ll be much cheaper to target Facebook users from Kenya, Nigeria, Pakistan, and India, than the ones from UK, Australia or the United States. Jerry Banfield created the list of countries with the least expensive Facebook ads. Tailor the ads to your audience’s taste – Facebook ads are not there to change somebody’s mind. Their purpose is to show people something they’d like. This means that you shouldn’t target meat eaters with vegan ads or gearheads with articles and videos about traffic pollution. Before making an ad, determine several ideal buyer personas and try to create the ads they would like to view on their news feed. Choose a very narrow audience – If you target millions of Facebook users, you might get thousands of post engagements. The conversion rate of these leads is definitely the most important figure for your company’s business. Facebook has a long list of targeting criteria. You should use them wisely and define a very narrow group of users, who would be interested in buying your products. Although Twitter is not as widespread as Facebook, it offers lots of great benefits to marketers. Unlike Facebook, Twitter doesn’t have an EdgeRank filter, which means that (technically) every tweet arrives at every follower’s feed. This enables users with a large following to spread their message far and wide and it’s also one of the reasons why Twitter is such a helpful influencer marketing tool. TapInfluence’s report, called The Rise of Digital Influence, determined that “Twitter users report 5.2x increase in purchase intent when they’re targeted by influencers’ promotional content. That’s why the main question for marketers on Twitter is how to gain more followers for their brands. One way to do it is by using Twitter Ads platform. Maximum bidding – where they manually input the value of each engagement. Marketers who use Twitter for advertising can also choose between many different types of campaign goals. They can base their campaigns on gaining more followers, improving website traffic, increasing conversion rates etc. Targeting the right audience and choosing the appropriate creative strategy is also very important and Twitter offers many audience targeting options. Other than Twitter Ads platform, you can also use various free techniques for building a strong Twitter following. Make your account interesting – If you want to have more followers on Twitter you should invest more time in creating an interesting profile. You should choose an interesting avatar and cover images and write an engaging Twitter bio. Then you need to engage your audience with interesting, thought-provoking and fun tweets. You can also add links and multimedia to them. Twitter users easily get addicted to series of good tweets about every-day life situations, so you should avoid any type of formal or business approach (save it for LinkedIn). Follow everybody who follows you – Ok, this may sound a bit lame, but the fact is that most social networks work on the ‘I scratch your back, you scratch mine’ principle. You can also start following the users who perfectly fit into your ideal buyers’ persona profile and wait for them to follow you back. Promote your account outside Twitter – There are many ways how you can promote your account outside the network. Share your Twitter campaign’s hashtags on other social networks and embed your Twitter feed onto your website or blog. Try using analog marketing channels and tactics as well. For example, figure out ways to create a unique brochure design that helps your presentation. Then, you can use creative hashtag inscriptions and share it on social media accounts. Instagram – SmartInsights’ research determined that Instagram has more than 400 million users. This network is very popular among the young and the restless, who use it for sharing and customizing their photos and videos. This type of audience requires a special approach, which includes more slang, fun, and bling. Instagram uses the same ad platform and targeting information as Facebook since Mark Zuckerberg acquired it in 2012. This means you can save money by targeting both Facebook and Instagram audience with a single ad. Pinterest – This platform is ideal for craftsmen and production-based small businesses. Pinterest has a much narrower audience, which means that your pins can have much higher organic reach and engagement. The platform also offers paid advertising services, which enables marketers to target their audience by keywords, interests or business data. LinkedIn – Recently LinkedIn was banned in Russia, but in other countries, it still works like a charm. It hosts companies’ and employees’ profiles, so it tends to be more formal and professional. LinkedIn offers incredible advertising options, but it’s much more expensive than Facebook and other social networks on this list. In most countries, minimum daily budget is set to $10, while CPC and CPM text ads are set to $2 per click. In spite of the much higher price, LinkedIn ads can produce a great ROI, especially if you use a sponsored InMail, which delivers your ads directly to the user’s inbox. At this moment ad prices on social networks are increasing and some experts think that we are approaching the end of the low-cost advertising bonanza. Even if this is true, with the amount of personal data people store on their social media profiles, this type of advertising will continue to create the highest ROI in the industry. That’s why in the near future, marketers and small business entrepreneurs will continue to run millions of social media accounts and target their customers with engaging posts, photos, and videos.